The latest Magerealmupdate is introducing a new set of Fashion to the game, and this one is sure to become a fan favorite! 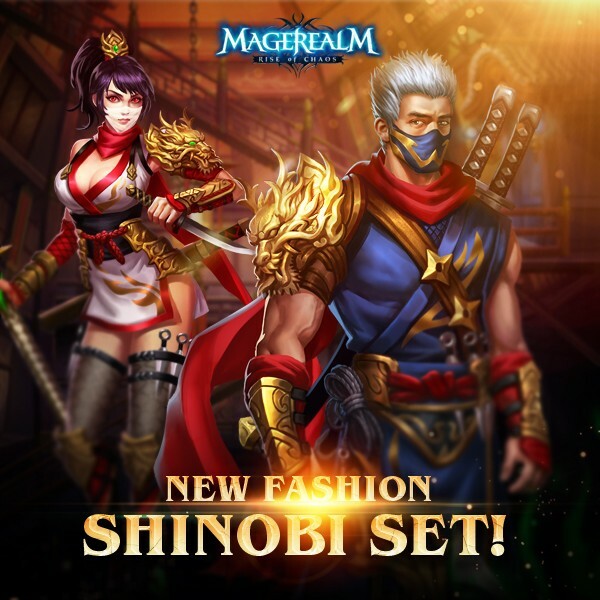 Are you ready to unleash your inner Shinobi? Let us know on the forums, and follow Magerealm on Facebook and visit the official forums to get the latest news and participate in rewarding events. Come experience an epic fantasy world of magic in this free to play action MMORPG!